Maintaining America’s pipeline infrastructure is not inexpensive. In fact, in order to maintain compliant operations for the nearly 2.5 million miles of pipeline in the United States each year, it takes an extraordinary amount of resources, intentionality, and focus. It is, in a word, costly. But the hidden cost of noncompliance is even higher. 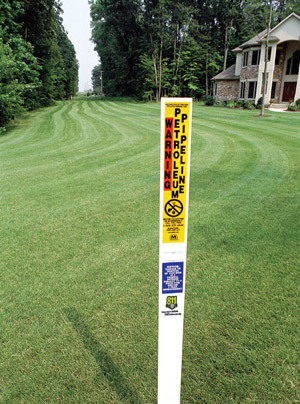 The Pipeline and Hazardous Materials Safety Administration states that from 2005-2016, the total cost of Significant Incident Consequences was over $5 billion. Amazingly, almost $5 million of that amount represents costs incurred not by pipeline operators, but by the public-at-large. And those staggering numbers speak only to the financial cost. Yet the more significant and consequential figures report that in that same time frame 153 individuals were killed and another 653 injured. Of the 153 people killed, 116 of them were “public” fatalities rather than “industry” fatalities. Those numbers should be, for each of us, unacceptable. Exploring for, producing, transporting, and refining petroleum and gas products is inherently dangerous business. But it’s typically only injurious or deadly when we don’t follow the rules of law and safety designed to protect us. Southern Brush exists to help keep utilities and energy operations compliant and, more importantly, safe. That purpose and passion inform our profession every day. We would appreciate the opportunity to serve your business and help keep your assets and people safe. Please contact us today.